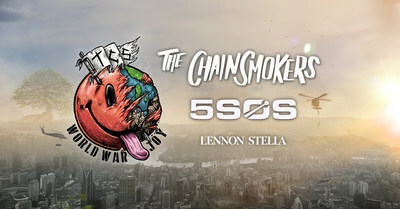 LOS ANGELES, Feb. 12, 2019 /PRNewswire/ -- Grammy Award-winning artist/producer duo The Chainsmokers have announced their massive "WORLD WAR JOY" North American headline arena tour for fall. Multi-platinum band 5 Seconds of Summer, who is featured on The Chainsmokers' latest single "Who Do You Love," will be joining all dates along with rising pop star Lennon Stella, who is opening the show. The 41-city tour, produced by Live Nation, will kick off on September 25 in Cincinnati, OH and make stops in major cities across the U.S. and Canada before wrapping in Vancouver, BC on December 6. See full tour routing below. Tickets for the tour will go on sale to the general public beginning Friday, February 15 at 10am local time at LiveNation.com. Additionally, The Chainsmokers will offer VIP packages for each show with options that include premium seating, an invitation to The Chainsmokers' soundcheck, a Q&A session with Alex and Drew immediately following soundcheck, specially designed merchandise and more. Fans can visit www.VIPNation.com for more information. The tour announcement comes on the heels of The Chainsmokers' latest single "Who Do You Love" featuring 5 Seconds of Summer. Released last week via Disruptor Records / Columbia Records, the track immediately shot to No. 1 on iTunes and has already accumulated nearly 14 million combined global streams to date. Additionally, the track was added to Spotify's New Music Friday playlist in 37 countries, added to their largest playlist Today's Top Hits and added to Today's Hits on Apple Music. "Who Do You Love" is available everywhere now. For up to date information on The Chainsmokers please visit https://www.thechainsmokers.com/. GRAMMY winning duo The Chainsmokers have developed some of the biggest breakthrough songs over the last two years including Multi-Platinum certified hits "Roses," featuring Rozes, "Don't Let Me Down" featuring Daya and "Closer," featuring Halsey, which went on to become the longest running #1 single of 2016 on the Billboard Hot 100 chart. The group's debut album, Memories…Do Not Open, has been certified Platinum. The album debuted at #1 in the U.S. on the Billboard 200 chart and produced Multi-Platinum certified smash hits "Paris" and "Something Just Like This" featuring Coldplay. Released late last year, the duo's building album Sick Boy has generated over 1 Billion worldwide streams to date and features hit single "This Feeling" featuring Kelsea Ballerini. Alex and Drew will continue releasing music and touring across the globe throughout 2019 and beyond. Hailed as the "biggest new rock act in the world" by Rolling Stone, 5 Seconds of Summer (5SOS) is now the only band (not vocal group) in chart history to have its first three full-length studio albums enter the chart at No. 1. The band's third album, Youngblood and its title track are a smash hit, with cumulative worldwide streams approaching 2 billion. "Youngblood" hit No. 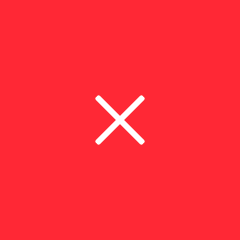 1 on Apple Music's biggest pop playlist, "Today's Hits," and Spotify's "Today's Top Hits" playlist, remaining on the latter for 20 consecutive weeks. "Youngblood" also held the No. 1 spot at Top 40 Pop radio for five weeks. Combined sales of 5SOS's self-titled debut album and 2015's Sounds Good Feels Good now exceed six million units worldwide. Sounds Good Feels Good charted at No. 1 in 12 countries, including the U.S., the U.K., and Australia. "She's Kinda Hot topped the iTunes charts in 44 countries. 5SOS – comprising Luke Hemmings (vocals/guitar), Michael Clifford (vocals/guitar), Calum Hood (vocals/bass) and Ashton Irwin (vocals/drums) – have won an American Music Award, a People's Choice Award, an iHeartRadio Music Award, five MTV European Music Awards, two ARIA Awards and an MTV Video Music Award. Live Nation Entertainment (NYSE: LYV) is the world's leading live entertainment company comprised of global market leaders: Ticketmaster, Live Nation Concerts, and Live Nation Sponsorship. For additional information, visit www.livenationentertainment.com.